Dan Doyle, vice president of development, discusses affordability, development and new investment sectors to keep an eye on. Since 1945, The Beach Company has been a leader in developing multifamily communities in the Southeast and continues to demonstrate that its leaders understand how to break ground in new markets of denser residential and commercial developments. Dan Doyle joined The Beach Company in 2004, and as vice president of development, is responsible for expanding the company’s rapidly growing multifamily residential real estate portfolio in Charleston, S.C., and beyond. Doyle has almost 20 years of experience in multifamily management and development. Before joining The Beach Company, he spent eight years with Village Green Companies. He earned his BS in architecture and his MBA from the University of Michigan. He recently took some time to talk to MHN about what he sees as the multifamily trends for 2017. MHN: Looking across the horizon of the Southeast, what have you seen so far in 2017 when it comes to multifamily investment opportunities? Doyle: Pricing continues to remain high, both on the cost to acquire existing assets as well as the cost to develop new. While there is anticipation that construction costs will moderate somewhat in 2017, we believe this will be limited to select markets currently experiencing short-term over-supply pressures. We continue to see opportunity in developing new product in secondary and tertiary markets where new unit deliveries have been limited compared to larger, primary markets. MHN: How has a new president in the White House impacted multifamily and what do you expect Trump’s impact will be in the year ahead? Doyle: It all depends on how some of the proposed plans for job creation and infrastructure investment turn out. It may be a while before we see those impacts on the industry. MHN: What do you see as the trends to keep an eye on in 2017? What’s on your radar and why? Doyle: Investment and development within walkable, heavy-retail inner-ring suburban communities will be a focus as today’s renter looks to find a lower cost alternative to the downtown, urban mixed-use product that has been so prevalent in many markets. 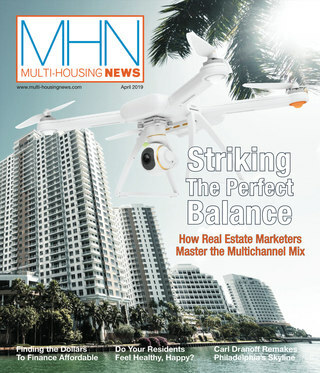 MHN: What do you feel is the most important thing that investors need to be aware of in today’s multifamily environment? Doyle: Cost—whether that is on the buy or build side—and how that correlates to the rents our residents can, (and ultimately), pay. 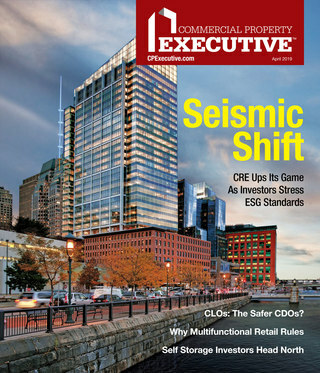 Affordability is becoming a larger factor in underwriting assets and overall markets, and making sure cost is in alignment with both existing and future rents is key. MHN: What are the up-and-coming locales that you think will be big during the year? Doyle: We focus on the southeast U.S., which continues to see very impressive growth, so we like a number of markets in the region. Since we are based in Charleston, S.C., that is a natural. Other areas include Nashville, Chattanooga, Richmond, Columbia and Greenville. MHN: What’s your biggest piece of advice with today’s current market? Doyle: Be patient—most demographic and economic factors indicate growth and demand will continue, even in markets which may be experiencing supply issues. Be ready to move and anticipate the next wave.